Days after saying that it was too early for the party to take a stance on the matter, the Alliance For Change (AFC) is likely to throw its support behind leader of the PNCR-led A Partnership for National Unity (APNU), David Granger, as the presidential candidate for the APNU/AFC at impending national and regional elections. A recent report in the State’s newspaper had identified President Granger, who just returned from Cuba as he continues treatment for Non-Hodgkin Lymphoma, as the presidential candidate for the APNU/AFC coalition. However, AFC Chairman Khemraj Ramjattan told Guyana Times in a brief telephone interview on Sunday that while the coalition partners have not had formal discussions on the matter, he personally supported the return of President Granger as the face of the coalition at the upcoming polls. “I support him fully as presidential candidate, personally… [but] we haven’t gone there as a collective,” Ramjattan said. However, he noted that the AFC would be hosting its first National Executive Committee (NEC) meeting on January 26 and the matter was expected to come up for discussion there. “We’re having our national executive [meeting] and certainly you’ll have me supporting him there… But of course, I anticipate [there will be support for President Granger]. I don’t think of anybody else with the quality of statesmanship as him,” the AFC Chairman asserted. 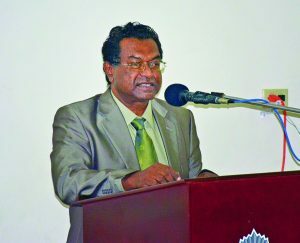 This newspaper was unable to question Ramjattan, who cut short the call, as to whether Moses Nagamootoo would be returning as the prime ministerial candidate for the APNU/AFC or whether there would be a new face submitted by the minority party in the coalition. At the party’s first press conference on Wednesday last, Vice Chair Cathy Hughes said it was too early for the party to say whether it would support a Granger presidential candidacy. “We’re not there yet right now; we’re absolutely not there right now. 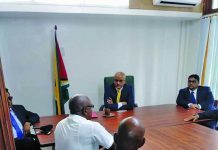 We hoped that President Granger continues the speedy recovery that he’s making … We continue to wish him the best, [but] we have no idea when the elections is going to be and so we’re not in a position to answer that right now,” Hughes had stated. While there has been no official public statement from the APNU camp, President Granger last year had indicated the possibility of him returning as presidential candidate for the coalition. “… I am a servant of my party; I’m a servant of the Partnership; I’m a servant of the coalition and my duty is to serve and I will not run away from service; that is as much as I can say… I have to bear in mind that my elevation to the presidency was as a result of popular support, it was a result of democratic processes and I will not abandon those processes…,” the Head of State told reporters at a press conference in August. Since then, however, President Granger was diagnosed in October with Non-Hodgkin Lymphoma and is seeking treatment in Cuba, which requires him to travel back and forth between the two countries. In fact, he returned to Guyana on Saturday evening after undergoing his fourth round of chemotherapy for Non-Hodgkin Lymphoma. Despite this, the Head of State has assured the Guyanese citizenry that he is getting better and a medical briefing from his doctors in Havana described his progress as “satisfactory and in conformity with their expectations”. Come February 14, the APNU and AFC will celebrate the fourth anniversary, since signing the “lovers’ deal” that eventually got them into office back in 2015. However, the AFC, in recent years, has come under fire for the submissive role it has been playing since joining forces with the APNU. In fact, the top leadership of the AFC had decided back in 2017 to revise its governing agreement with its majority coalition partner. The Cummingsburg Accord has a lifespan of a minimum of three years and a maximum of five years, and was focused primarily on the General and Regional Elections. Moreover, the minority party had even contested the November 2018 Local Government Elections (LGE) separate from the APNU after planned negotiations to craft another accord fell through. At Wednesday’s press conference, however, the AFC executives insisted that the minority party has done as much as it could to stay relevant within the coalition Administration and recommitted to supporting the APNU going forward. 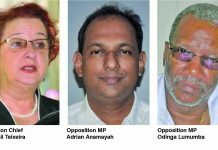 This is in spite of the passage of a no-confidence motion against the coalition, which was supported by former AFC Member of Parliament Charrandas Persaud, whose vote in favour of the Opposition’s motion toppled the current Administration. 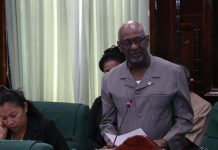 Since the December 21, 2018 passage of the motion, which hence became a binding resolution, several political commentators and stakeholders, including the People’s Progressive Party/Civic (PPP/C) Opposition, have been calling on the APNU/AFC Government to resign and call elections, which, according to Article 106 (7), should be held within three months. This means elections should be held by March 21 this year. 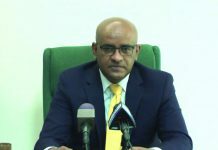 However, the High Court has since been asked to pronounce on two matters regarding the resolution – one contesting the validity of Persaud’s vote given his dual citizenship and another challenging the 33-32 votes, instead of a 34 majority, that was used to pass the motion. Those cases came up for hearing last Tuesday and acting Chief Justice Roxane George has committed to a ruling by the end of this month.